Home > Headlines > News > Why Synthetic Oil? By far one of the most popular topics of conversation at the Service counter is which oil you would like to use in your oil change. Oil is the part we sell the most of! 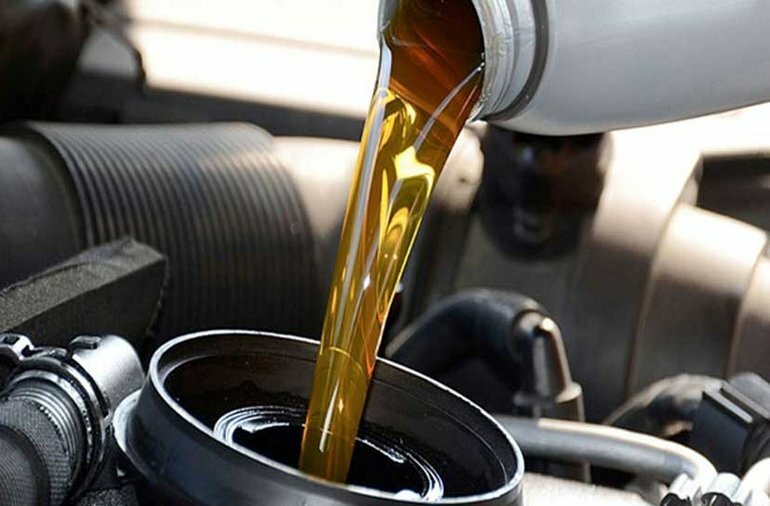 We have three types of oil available to our customers: regular oil, synthetic oil and ester synthetic oil. So what’s the difference between the three? To start we will focus on regular versus synthetic oil. We use a Mobil 1 oil for both those types, and both provide excellent protection. However, the synthetic does provide a higher level of protection. The first myth to clear up is that the term ‘synthetic’ does not actually describe a material, it describes a process. Synthetic oil is regular oil pumped out of the ground that is then synthesized through a special refining process. Regular synthetic oil is generally a poly-alpha-olefin, or PAO. Consider the following: Your dash gauge may indicate an ‘engine temperature’ of 200F, but that’s registered at the water/coolant temperature. The temperature of the sump and the assorted bearing/surfaces is significantly higher than the water temperature. In fact, your piston ring and cylinder walls can exceed 500F. In these extreme temperatures, conventional oil begins to break down much faster than synthetics. If you run a turbocharged vehicle, such as the Nissan Juke, your engine runs at significantly higher temperatures even still. Your turbo unit’s temperature can spike above 650F immediately after engine shutdown. In addition, your engine oil is responsible on its own to cool the crankshaft, main and connecting rod bearings, the timing gear and chain and the camshaft and its bearings. Your coolant only cools the upper regions of the engine. Ester oil is a variant of synthetic oil and is made up mostly of vegetables, minerals and animal fatty acids. Esters are more expensive because the ingredients all have to be collected from natural sources and then synthesized in much smaller quantities than regular synthetic oil. However, ester oil is superior. The number one reason to use ester oil is bond. Ester oil has an electrochemical bond because the ester molecule is polar, sort of like a fridge magnet. It is attracted to metal and sticks. Normal synthetic oil, PAO, is like plastic in your fridge, it will just fall off once the pressure is released. All commercial jet planes flying use an ester synthetic oil. To provide an illustration, think of conventional oil as butter in a pan. Butter heats up quickly and will also burn quickly. Now imagine synthetic oils to be like vegetable oil. They can handle a very high heat, won’t stick to engine parts (or the pan) or go out the breather as fast as conventional oils will. One last note on esters; If they do burn, they will leave almost no deposits in your engine. Oil is the single most important fluid in your vehicle. With the complexities of today's engines and the increased temperature they run at, it’s not a bad investment to upgrade your oil. Our pricing by litre is below. Our vehicles require from four to seven litres of oil (Versa at 4L, Titan at 7L).